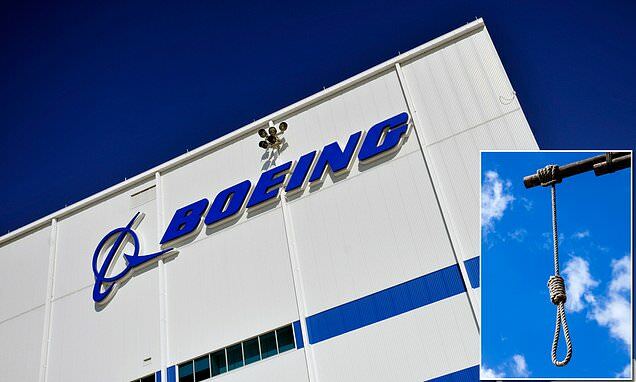 Boeing Co. is investigating after a noose was found hanging at its plant in South Carolina. The foot-long noose made from nylon was discovered Thursday hanging in the aft-body building of Boeing's North Charleston campus where the aircraft manufacturer makes its 787 Dreamliner jets. There was no note or any other corresponding materials found with the knotted rope explaining why it was hung or who may have been its intended target. In a letter to employees circulated on Thursday, Brad Zaback, vice president and general manager of Boeing's 787 program, said the company is investigating and will take 'appropriate and necessary action' against whoever is responsible. 'I am saddened and angered that a racially-charged symbol was discovered on site,' Zaback said in his statement, which was reported in the Post and Courier.